On December 16, 2013, the Supreme Court ruled in Heimeshoff v. Hartford Life & Accident Ins. Co., — S. Ct. —, 2013 WL 6569594 that a limitations period for bringing suit that is written into an employee benefit plan document, even a limitations period that starts to run before a cause of action accrues, is enforceable under ERISA as long as the period is reasonable. At issue in Heimeshoff was a contractual limitations period in a disability plan that required a participant to sue no later than three years after the time the plan required proof of loss to be provided. The Court’s decision upholding the contractual limitations provision is one more in a long line of cases, including most recently U.S. Airways, Inc. v. McCutchen, — S. Ct. —, 2013 WL 1567371 (2013), in which the court has held that a plan’s terms should be enforced as written. Plan sponsors will want to review their plan documents in light of Heimeshoff and consider whether to add a reasonable limitations period if they do not have one already. Julie Heimeshoff, a participant in Wal-Mart’s Group Long Term Disability Plan (the “Plan”), filed a claim for disability benefits with the Plan’s administrator, Hartford Life & Accident Insurance Company. Hartford denied her claim and subsequent appeal. The Plan stated that any lawsuit for benefits must be brought by the participant within three years after proof of loss was due. Under ERISA, claimants generally are required to exhaust their administrative remedies before they can bring a suit for benefits (under ERISA section 502(a)(1)(B)). Because a proof of loss is due under a disability or other insured plan before the plan’s administrative review process can be completed, the administrative exhaustion requirement under ERISA necessarily shortens the contractual limitations period set forth in the Plan. Once Ms. Heimeshoff had fully exhausted the Plan’s mandatory administrative review process, she had approximately one year remaining under the Plan’s limitation provision to file suit. Yet she waited almost three years before suing. Hartford and Wal-Mart moved to dismiss Ms. Heimeshoff’s complaint as untimely. The U.S. District Court for the District of Connecticut granted the motion to dismiss, relying on a Second Circuit Court of Appeals precedent enforcing a nearly identical limitations provision. When Ms. Heimeshoff appealed, the Second Circuit affirmed the district court’s decision, applying the same Second Circuit precedent and further concluding that contractual limitations periods that commence before a participant can file suit do not offend ERISA. The Supreme Court granted certiorari to resolve a split among the Circuit Courts of Appeals regarding whether a plan may specify a limitations period that starts to run before the cause of action accrues (i.e., before the administrative claims process has been completed). On the one hand, the Second and Sixth Circuits have held that these provisions are enforceable. On the other had, the Fourth and Ninth Circuits have declined to enforce such provisions. Compare Burke v. PriceWaterHouseCoopers LLP Long Term Disability Plan, 572 F.3d 76 (2d Cir. 2009) (plan provision requiring suit within three years after proof-of-loss deadline is enforceable); and Rice v. Jefferson Pilot Financial Ins. Co., 578 F.3d 450 (6th Cir. 2009) (same), with White v. Sun Life Assurance Co. of Canada, 488 F.3d 240 (4th Cir. 2007) (holding that contractual limitations period is not enforceable); and Price v. Provident Life & Acc. Ins. Co., 2 F.3d 986 (9th Cir. 1993) (same). Is the contractual limitations period reasonable? Does a controlling statute prevent the limitations provisions from taking effect? 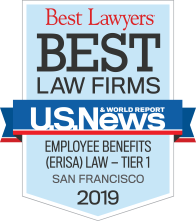 The Court held that the three-year limitations period at issue was reasonable and that ERISA did not prevent the limitations provision from taking effect. Interestingly, one day after the Heimeshoff decision, the Sixth Circuit in Claeys v. Aetna Life Insurance Co., 6th Cir., No. 13-1390, upheld as reasonable a health plan’s six-month limitations period that began running upon exhaustion of administrative remedies. The Sixth Circuit, however, made no reference to Heimeshoff. Ms. Heimeshoff raised three arguments to support her claim that ERISA precludes contractual limitations periods. The Court rejected all three. Participants will shortchange their own rights during the administrative process in order to have more time to seek judicial review. The contractual limitations period will endanger the availability of judicial review. Addressing the first assertion, the Court found that it is unlikely that participants would sacrifice their internal review rights in light of the consequences of doing so. The Court reasoned that the risk of forfeiting evidence developed during the internal review process would deter participants from shortchanging their rights during the administration review process, particularly since most courts limit review to the administrative record. Also, the Court noted that most participants are not likely to value judicial review over internal review because most courts will apply an abuse of discretion standard of review (i.e., limit their review to the question of whether plan administrator’s decision was reasonable), whereas a plan administrator would likely have full discretion in making a determination. With respect to Ms. Heimeshoff’s assertion that the contractual limitations period will endanger judicial review, the Court reasoned that any bad faith delays by a plan administrator in an attempt to prevent judicial review would be quelled by the penalties associated with violating the claims regulations deadlines and that traditional defenses to the statute of limitations, such as waiver, estoppel and equitable tolling, could be applied where bad faith is found. Also, the Court dismissed the United States’ claim that even good faith administration would diminish the availability of judicial review. 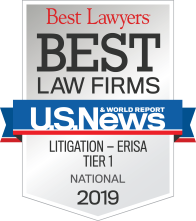 The court noted that “forty years of ERISA administration suggests otherwise” and that the cases put forth by the United States in support of this notion involved claimants who did not diligently pursue their rights. Second, Ms. Heimeshoff argued that limitations periods should be tolled as a matter of course until the administrative review process has been completed. The Court rejected this argument out of hand, noting that this approach “constitutes a contractual revision we decline to make.” Moreover, the Court noted that ERISA does not require tolling during the administrative review period. Third, Ms. Heimeshoff argued that the Court must inquire into whether there is a state law that would toll the limitations period during the administrative review process. The Court rejected this argument as well, stating that there is no need to borrow a state’s statutory limitations period where the parties have adopted a limitations period by contract. The Court made clear, as it did recently in U.S. Airways v. McCutchen, that the terms of the plan document are supreme and courts are to enforce the plan’s terms so long as they are clear, unambiguous and don’t run afoul of ERISA. As a result, plan sponsors can have some degree of confidence that a contractual limitations period written into their plan documents will be enforced as long as the period is reasonable.